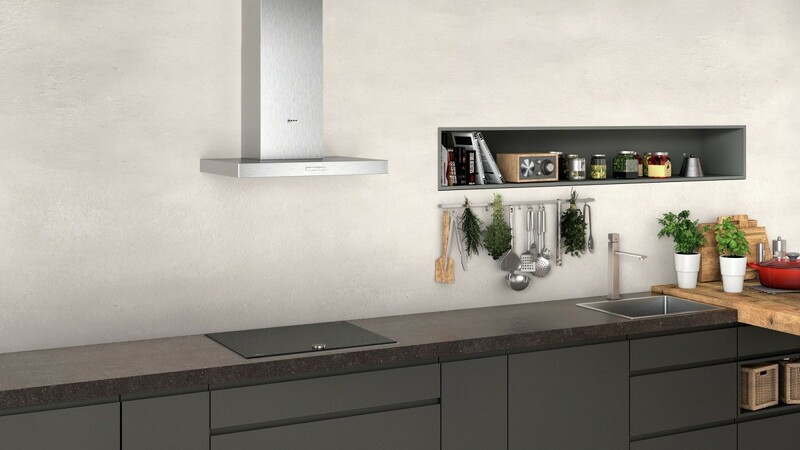 Suitable for 60cm wide cookers, the NEFF D62BBC0N0B Chimney Hood will keep your kitchen air clean. There are 3 power levels to choose from using a switch control, whilst two LED lights will illuminate your hob area while you cook. 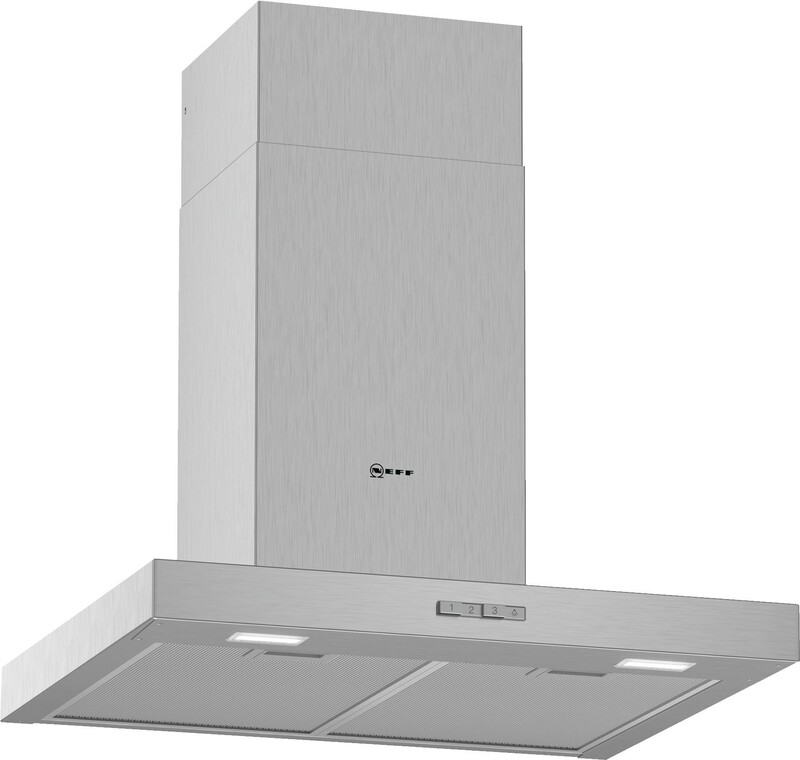 The cooker hood is height adjustable and it comes with three metal grease filters that are easy to remove and clean. With additional noise insulation the D62BBC0N0B is quiet in operation.